One of the best ways to Skip the Lines and save time and money is to purchase tickets in advance. 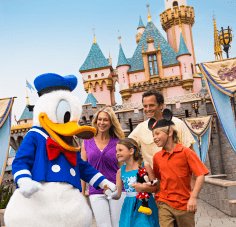 From a 10-day Disney Theme Park Ticket with Park Hopper Plus Option for the Walt Disney World Resort to the Universal 4-Day Park-to-Park Ticket, there are plenty of ticket combinations to suit your length of stay and touring preferences. This guide will help you determine which ticket to purchase for your Orlando trip. Choosing the right tickets depends on a number of factors such as how long you will be in Orlando, what attractions you want to visit and whether you want to visit more than one attraction or park in a day. When deciding which tickets to buy for your Orlando family vacation, we recommend you use the list below. 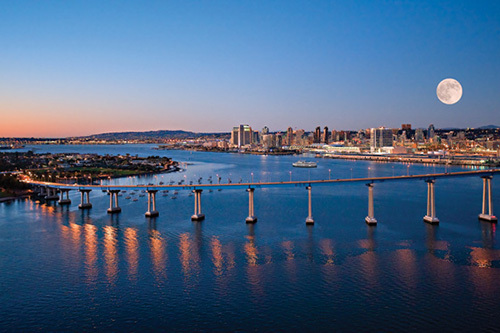 Start by determining which resort you will be visiting. For a Walt Disney World vacation, start your reading about Disney Theme Park Base Ticket vs. Park Hopper tickets. 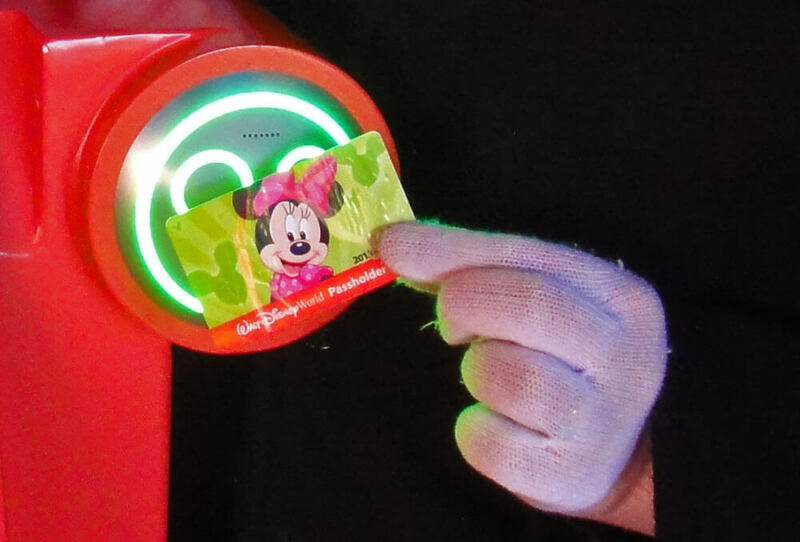 All of our Disney World tickets are RFID-enabled. No matter which ticket you choose, be sure to read more about FastPass+, Disney's reservation system that allows guests to book advance reservations for rides and entertainment experiences. For a visit to Universal Orlando Resort, start by familiarizing yourself with Base vs. Park-to-Park tickets. Bear in mind, that in order to experience Hogwarts Express in The Wizarding World of Harry Potter, you will need a Park-to-Park ticket. Purchase Tickets In Advance - Save time and money by tickets in advance! 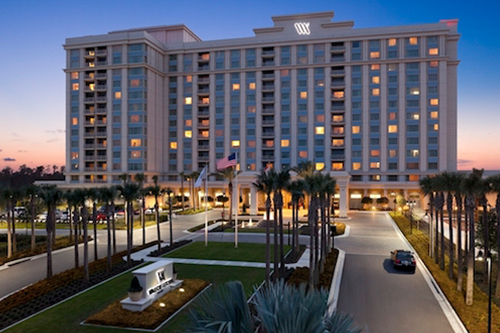 We hope you’ve found this guide on where to stay in Orlando helpful as you plan your trip. You’ll find more planning information in our Orlando Planning Guide. Hi, we are a family of four, two adults and two kids aged 12 and 15 visiting Orlando for the first time arriving Dec 20th and departing Dec 28th 2016. What tickets would you suggest to help us make the most of our vacation? We would love to visit Disney, SeaWorld and Universal. Is it possible to get a three or four day type combo ticket for these attractions? Thanks. One ticket will not cover all of these parks, but you could do 3-4 days at Disney World, 3-4 days at Universal and one day at SeaWorld. There is a combo ticket that will cover Universal and SeaWorld, but it's more of a value with more days. We do offer discount tickets for all of these parks. Other attractions in Orlando from the Disney resorts? Or are we better to stay a week at Disney and a week elsewhere? How long will you be in America? If you can visit Disney World the week after Easter, it would be better, but honestly, I would only do this if it was a viable option. Hi I’ve had a good read and there are some great tips, can you help on what tickets to buy. I am visiting mid-August with my 13 year old son for 14 days. Leap, you sure are friendly and helpful on all these questions :) So after reading several guides on your site, I will be ordering tix this weekend. We are a multi-generational family of 7, 3 tweenagers, will be in Orlando for 7 days the first week of spring break. Since your guides recommend staying in a single park on most crowded days and you have such great deals on the 5 for 4 WDW and Universal base 2+2, I think that might be our best option, that way we could possibly revisit parks we liked best. What do you think? This sounds like this is a great plan. I would head to Universal on Jan. 10. 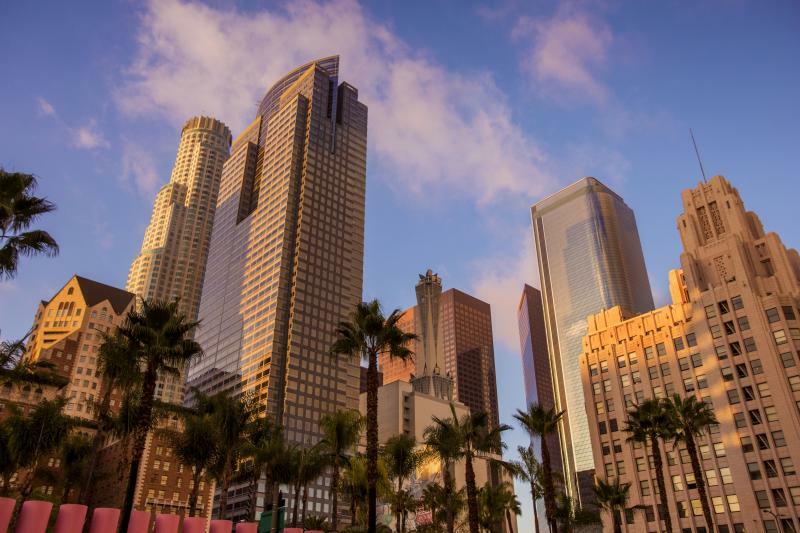 You can get the 1 Day Park-to-Park and use our touring plan. The crowds should not be too bad, and you can do a lot. Hit Magic Kingdom the next day with the 1 day Magic Your Way ticket. You can see both of these tickets here. We will be there next week and have a question on the My Way Tickets. If we buy a 3 Day Magic My Way Ticket does this allow us to enter into any one park for any day we choose? I understand that it is only for one park per day just wondering if we need to specify which park ahead of time? Yes, any one park, and no, you don't need to decide in advance. But you will need to decide that if you want to book advance FastPass+ reservations, which we do recommend. We are a party of 10 (ages: 70 (wheel chair), 67, 43, 39, 35, 33, 7, 4, 2, 1) visiting Orlando for the first time in November 2015. We arrive on the 25th and leave again for Ft Lauderdale on the 29th. We are thinking about visiting Magic Kingdom, Sea World and Kennedy Space Center. - We don't know which dates to go where (not really sure about what would be the busiest day around Thanksgiving)? - Can you recommend any tickets or packages? Are there any discounts? - Would parking two cars by the parks be tricky? Any recommendations? We will stay at Floridays resort. - Would you plan "do nothing days" between the parks, because it could easily be too intense for children or would you fully plan the days we have allowed for Orlando area? It's going to be so much fun for the whole group! All of the attractions are wheelchair friendly, so you shouldn't have to worry too much about that. We have more information about Disney's disability program and list of ride accommodations here. The Friday after Thanksgiving is the busiest days of that week, I would recommend doing Magic Kingdom on Saturday, the 28th. For SeaWorld, that might be a good option for the 26th or 27th. Your hotel offers shuttle service to Disney, Universal and SeaWorld, but you could park on-site at the parks. For Disney, if you are trying to avoid paying, you could park at Disney Springs, and take shuttles to the parks. Here are all of the ticket options. We offer discounts on all of our tickets. Given your shorter amount of time, I would not plan do nothing days unless you just think you all will need more rest. You didn't mention when you arrive and depart, but that could also be factored into what you want to do. Definitely experience Magic Kingdom and Universal and one day for each. Then you can pick your last day. For Magic Kingdom, you just need the one day Magic Your Way ticket. For Universal, you could do a Park-to-Park ticket and experience the best in both parks, but this would depend on when you are going and how busy it is. You can see all of our ticket options, including SeaWorld Orlando and Kennedy Space Center, here. One other cool experience you might want to consider is Discovery Cove. It would be a full day, but it is an amazing, tropical resort getaway that feels nothing like anything we've experienced in Orlando. I am planning to visit florida in 1 week. I want to visit magic kingdom, universal studios, animal kingdom sea world and kennedy space center. How can i buy my tickets? is there a package that includes all of them? I'm willing to spend 4 days. There is no package that includes all of them, and for this short of a stay, you would need to purchase your tickets separately. Here are our ticket options. Hi I am planning my trip to Disney with hubby and 3 kids (10,6,3) from 12-25 Dec 2015. Can you perhaps advise on a trip itinerary for the parks to be visited as well as the most economical tickets to purchase. I would recommend checking out our Crowd Calendar so you can see recommended parks by day to help plan your trip. Keep in mind that the second half of your visit is going to be VERY crowded. You don't mention whether you want to visit Universal and SeaWorld, but if you do, depending on how long you want to visit, the Flex Ticket could be a great option and covers up to 14 days. You could then buy Disney tickets for the number of days you plan to be in the parks. You will find Magic Your Way to be the most economical option. You can see all of these ticket options here. You would need the 1 Day Magic Your Way Water Park Fun & More ticket and a SeaWorld ticket. If you want to visit Universal Studios on one day and Islands of Adventure one day, you will need the 2 Day Universal Base ticket. All of these tickets are available here. having hard time planning our days where and when to go. Definitely we want to see Disneyworld and Universal. What's the best ticket option to purchase? So sorry for the delay. Given your time frame and breakdown of ages, we'd recommend you spend at least five days at Disney and two at Universal. If you want to add Disney water parks, you should add at least one more day on to this and choose the Water Park Fun & More option. More fun options for your kids ages (and adults) would be Discovery Cove. All of your kids are old enough to enjoy the dolphin swim, and a beach day away from the hustle and bustle of the parks would be paradise. There also wet suits in case it's a little chilly, but November should still be fab weather-wise. With that ticket, you would also get access to SeaWorld and Aquatica for your length of stay, so if you did that you might skip the Disney water parks and opt instead to go to the SeaWorld parks and water park. Finally for your kids' ages, LEGOLAND is a great choice. Our family will be visiting WDW the last week in January. 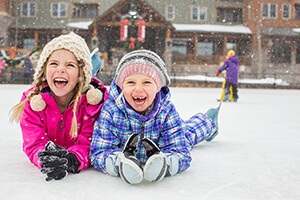 We have 4 kids ages 4-11. We will have 6 days to spend at the parks, but we are trying to decide if we need all 6 days, or if we can take 1 day to just relax at the hotel. If we have never been to WDW, how many days at each of the 4 parks do you recommend? I would plan at least one full day at every park, and two days for Magic Kingdom. You still won't see everything, but you can see a lot, especially during this time. You could do an additional day at Epcot, or save day 6 for another favorite. Hi If I buy a 6 day Magic your Way ticket through you and then decide that I want to add an extra day when we are actually in Orlando, can I just add one extra day at that point for the same difference in price as a 6/7 day ticket is through you/Disney (i.e. just over $10 difference) or would I have to buy a new one day ticket (i.e. very expensive!!). How would I add the extra day - can I do this at my hotel even if my original ticket was purchased from you not Disney directly (we are staying in the Four Seasons which has a Disney Desk I think) or does it have to be at the park? I also wanted to ask if once I make Fastpass reservations I can change them if we decide to visit specific parks on different days than expected? (ie I will be using the crowd calendar to plan which park we visit on each of our days but if the children have a strong preference for a certain park we might end up changing which ones we spend 2 days at etc). Many many thanks. You can upgrade to a 7 day ticket in the park if you bought from us. You would need to do this at guest relations outside of the parks or at Disney Springs. Yes, you can modify your FastPass+ reservations, but keep in mind that if you're visiting during a busy time, and you make those changes the day of or a few days before, then reservations for the most popular attractions may be limited or gone. It's possible you could buy a 1 Day Park Hopper and a 4 Day Magic Your Way ticket to do what you are hoping to do, but you cannot buy a 6 day ticket and do what you are describing. You may find that going ahead and purchasing the 5 Day Park Hopper is more economical than the former. Will be arriving on the 8th January at 21h, friday, and leaving the next 17th sunday at 21h, so it will give me 8 full days plus the sunday before leave. What do you suggest to do each day considering that we want to go to the best coasters (bush gardens, the one in sea world) and universal parks (harry potter, etc). Which tickets exactly to buy? The Flex Ticket Plus is the one you want and will be a great savings for each of these parks. We expect to have the 2016 Flex Ticket Plus in a week or so, so please check back! Just to be sure, we probably wont go to water parks, just want to spend half day on seaworld because of the coaster there, whick everybody say its amazing. Even so the best ticket is the "Orlando FlexTicket™ Plus 2016" is thar correct? will it allow me to go to all orlando parks, plus universal parks, bush garden and sea world saving money comparing to buy each ticket apart? besides, would you recommend best days to go to each park? dont know if there is special days, events, or emptier days (best to enjoy coasters). What about fast passes? How does it work? should i buy or schedule fastpasses besides the ticket that i need to buy? ot it comes together? Many thanks in advance!! This is the best ticket. You can price each of the parks separately if you want to see how much you will be savings. Check out our Crowd Calendar for best days to visit. Overall, this is a good time to visit, although you will find more crowds over the weekend of MLK Day. FastPasses are exclusive to Disney, but you could use Universal Express or QuickQueue at Universal, SeaWorld and Busch Gardens. These are an additional charge, and overall I don't think you will need them. You can purchase them in park; the only time I would consider it is that holiday weekend. Yes, you would need to purchase a separate Disney World ticket. I still think your Flex Ticket is a good deal. I would not recommend SeaWorld and Animal Kingdom in the same day. SeaWorld is really a full-day park, and Animal Kingdom is usually not open late. I would plan a day at Animal Kingdom, and then that could be your Disney Springs (Downtown Disney) night. Busch Gardens definitely is a full day. I would try to visit it Monday-Thursday for lowest crowds so you can will have lesser waits for the coasters. Park hopping at Disney is up to you. We will be getting the 7-day Magic Your Way ticket as well as the Orlando Flex Plus ticket. Do you see any days we should switch around due to crowd levels, any theme parks that need more or less time? Any advice would be much appreciated, thanks for your time! You've come to the right place :) You've got a solid plan! I would just consider switching your Friday at SeaWorld and/or Monday at Wet 'n Wild for Busch Gardens, or at least have one of your week days be at Busch Gardens. During the off-season, this park will be less crowded on the weekday, and with so many coasters and other thrill rides, it would be a better match. Disney's Animal Kingdom typically isn't a full day, and it closes earlier than the other parks, so you could plan on visiting Downtown Disney that night and save your free day on the 19th for touring the resorts' holiday decorations. Hi there. We have 2 days to spend in Orlando in October before we move onto another destination. . We plan to go back in the future for a longer visit but I'd like my kids to experience Disney as they are 7 and 9 yrs old. I would devote at least one full day to Magic Kingdom and two days wouldn't be a bad idea. 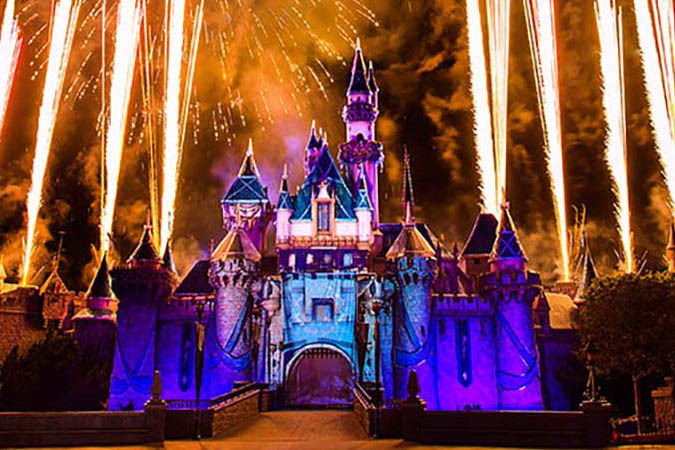 You don't mention your dates, but if they fall on the night of Mickey's Not So Scary Halloween Party, that would be a fun option for you all as well. I would lean toward Epcot if you don't want to do two days at Magic Kingdom. You could also get Park Hoppers, which would allow you to hit a couple of parks that second day, but it is more expensive. As far as single parenting in the park, it should be OK. I've single parented in the park a time or two! Where you sometimes run into issues is if one child wants to ride something that the other child does not (such as a scary ride), and the one who wants to ride doesn't want to ride alone. We will be in Orlando either Oct 21/22 or 26/27. The Halloween party sounds like a great time! My last question: does staying on the property/monorail make a big difference? I am looking at the Hilton Bonnet Creek or Waldorf bc of the great looking pool and lazy river. Thank you again for your help. I've gotten so much helpful info from your blog. You can't beat the monorail hotels for proximity to Magic Kingdom. If you are just going to Magic Kingdom and Epcot for the two days, I would say stay on the monorail if you can afford it. You can take the resort monorail to Ticket and Transportation Center and then transfer to the monorail to Epcot. The pool at the Polynesian will likely be the most fun for the kiddos. Hilton Bonnet Creek and Waldorf are, of course terrific hotels, in a great location close to Epcot, Downtown Disney and Disney's Hollywood Studios, but not that close to Magic Kingdom. Hello, i am just wondering if i buy the tickets now in august (4 adults and 2 children) can i still use them in december? I want to buy the tickets now and I don't know if we can still use them in december when we travel to Orlando. Thank you. You did not mention which tickets you are buying for, but most Disney and Universal tickets do not expire. The details page on each of our tickets includes any expiration information. This page lists all of our Orlando tickets. I am really sorry. 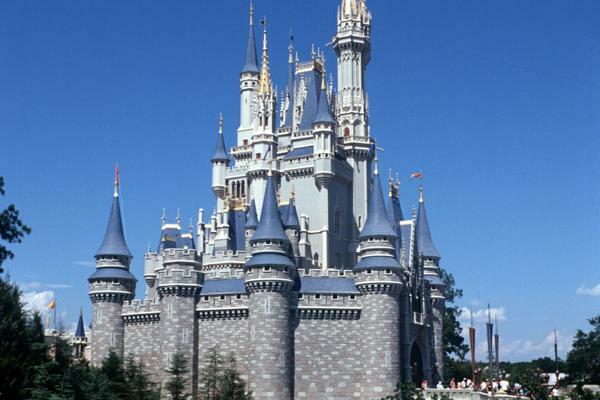 I am thinking of buying the 3 day magic your way tickets for Walt Disney World in Orlando. 4 for adults and 1 for children, I have them planned to be mailed to my address. if I buy them around august 15, would i be able to use them in December? Does Disney announce before they increase ticket prices? We just bought our plane tickets and I would love to hold off on the Disney tickets a few months. However, if there are any price increases expected, I could buy them now. Is it correct that we can buy our Disney passes now and then add on the Water Park option later if we would like? We are going in December and it will depend on the weather if we want to go to the water parks. If we buy a basic Disney pass now, can we go on the computer if there is a nice day and add the water park option and go that day? Also, if we buy an 8 day pass, could you increase it to a 10 day pass at a later date or would you have to go back and buy new passes if you wanted more days? Thank you so much! Your website has been very helpful! There is no announcement before the price increase from Disney, typically these happen in spring or summer. You always have the option of upgrading your ticket, but once you purchase you would need to do this at guest relations at the parks. We are planning to visit Disney Orlando in the fall. And, we would like to hit Epcot, Disney, Universal Studios and Animal Kingdom. Which tickets do you suggest? Which ticket depends on many factors such as how long you will be there, if it's a first visit, whether you have children and their ages etc. Does the 2 day Universal Studios ticket include entrance to both parks (US and IOA)? Yes, the 2 Day Base Ticket would allow you to enter both parks, just not on the same day. You would need the 2 Day Park-to-Park Ticket to do that. You can see all of our Universal ticket options here. We are looking to go to Epcot in Oct. for Food & Wine for 2 days (just my wife and I) and then back to Magic Kingdom in April 2016 with the kids? Is there a 3 or 4 day ticket we can purchase now and use the remaining days 6 months after the first use? Thanks! Unfortunately, the no-expire option was discontinued back a couple of months ago. The only ticket type that would work in this case is an annual pass. Hi.. I'm and my brother plan going disney world From july25 till august 1. We want to do all the parks,the water park and seaworld too. Which ticket do you recommend??? You didn't specifically mention Disney and Universal, but if you want to do these parks, I would suggest park hoppers for Disney and the park-to-park ticket for Universal. Depending on how many days you wanted to spend at Universal, SeaWorld and both of their water parks, the Orlando FlexTicket might be more economical. You would need to buy separate Disney tickets. If we know we will spend full days at Magic Kingdom, is it possible, and does it make sense to get a 2 day base ticket and 3 day park hopper? You should do the math, but it may very well be cheaper to just do the park hopper for five days. You can, however, purchase them separately if you'd like. My friend and I are going to Disney World in May for 5 days. We want to do all the parks including the water park. We also would like to do the pass hopper as well. We are thinking of doing a different park each day. What would you suggest we get for tickets? Also, can you explain to me what the fastpass is? Is that something different than the park hopper? FastPass is Disney's reservation system that lets you pre-book certain attractions. Park hoppers are tickets that allow you to visit more than one park per day. Your best bet would be the 4 Day Park Hopper + Water Park Fun & More. I just received the 9 tickets I ordered (7 adults, 2 kids) for our vacation in June. Do I print my name on all 9 tickets or do I print each person's name on their ticket? I paid for all 9 tickets. We suggest just labeling each person's ticket so you can keep tabs on whose is whose. My husband and I ( no kids) will be visiting DisneyWorld at the end of April for one day. We used to have annual pass to Disneyland but it's our first time to Disney World. I am planning on getting a hopper ticket but which three rided should I get FP+ on? Thank you! We are a family of 2 adults and 2 children aged 14 and 15. We are staying in Orlando from approx. 27 July to 15 August 2015, we would like to vist Disney (several parcs) and Universal (studios and adventure), and probably also Sea World. Which tickets do you recommend ? And is it possible to send the tickets to the Netherlands ? Thx in advance for yor reply !! Yes, we do ship to the Netherlands. I would definitely recommend you purchase the Orlando Flex Ticket (or Flex Ticket Plus if you want to visit Busch Gardens Tampa), which includes 14 day admission to the Universal and SeaWorld parks and waterparks for a terrific price. You would then need to decide how many days you want to visit Disney and whether you want park hoppers or not. Let us know what you decide! We are 2 adults. We are staying in Orlando from May 16 until May 22 and we would like to visit Disney (several parks), Universal (studios and adventure) and Kennedy Space Cneter. Which tickets do you recommend ? And is it possible to send the tickets to Belgium ? How many days does it takes for delivery to Belgium, knowing that we leave Belgium on May 9? Thanks in advance for your reply. Yes, we ship to Belgium! Delivery is currently running 12 days, so you do have time to get them delivered to you. Will you be visiting Kennedy during that same week? That would affect which tickets to buy for Disney and Universal. You can see our Orlando ticket options here. I would consider Park Hoppers at Disney and the Park-to-Park ticket at Universal if your visit to Kennedy falls during that week, so you can experience the best of all parks. You have to buy regular admission and then Express Passes on top of that. 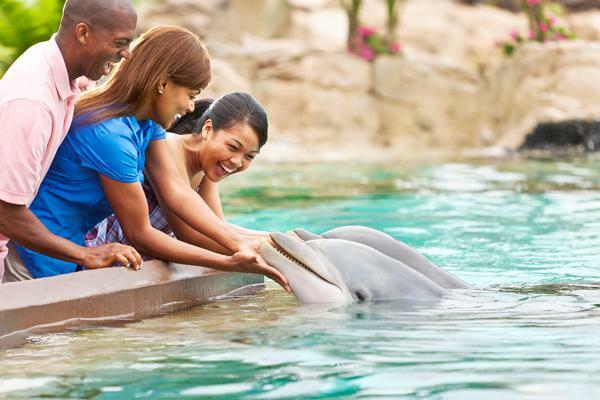 You can view our SeaWorld tickets and pricing on this page. We will be visiting Universal from April 18- April 25. We want to purchase the 3 park unlimited ticket but are wondering if we can use this to get into MardiGras on April 18 or is that considered a special event we can't use the ticket for that day? Yes, Mardi Gras is included with regular park admission, including the 3-Park Unlimited ticket. Looking to come to Universal and Epcot only for 1 or 2 days each. Would be staying at a separate hotel. Which tickets are the cheapest for us to purchase? We are not interested in any waterparks or Harry Potter. Thanks! Our Orlando ticket options are listed here. To visit Epcot only, you would need a Magic Your Way ticket. 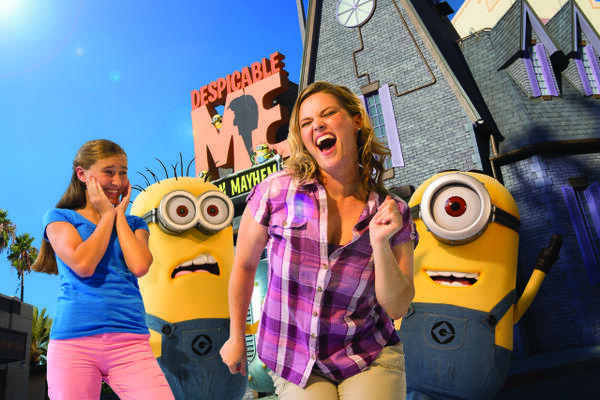 At Universal, you have the option of a base ticket or park-to-park ticket, which would get you in both Universal Studios Florida and Universal's Islands of Adventure. I've booked to come to Orlando in august 2015 from the UK. I'm looking to go to universal for one day and to Disney's magic kingdom for one day....which tickets do you recommend i purchase? If you are only going to visit Magic Kingdom, you would simply purchase the 1-day Magic Kingdom ticket. For Universal, I would recommend the 1-Day Universal Park-to-Park ticket. Keep in mind, the more days you visit, the lower the per day cost of admission. My family and I are going to Disney in Sept. We would like to spend 4 days at disney, 1 at Islands of Adventure just to see Hogwarts and 1 day at Sea World. What would you suggest for best option for buying tickets? The big question is whether you want to hop while you're in the parks. That is, do you want to visit more than one WDW park per day and would you want to visit the water parks? If so, I'd recommend the Park Hopper or Park Hopper with the Fun & More option. I know you want to see Hogwarts, but Diagon Alley is just as fabulous. You could do the Universal Park to Park ticket and see both for your one day at Universal. Which days of the week are best to visit the Disney Waterparks? Generally, the earlier in the week the better, as most families spend the start of their vacations in the theme parks. If I purchase the 3-day Unlimited Universal Ticket, does that include the Hogwarts Express? I just want to make sure that I can visit all the Harry Potter rides and shops. Thanks! Yes, you can ride Hogwarts Express and experience all of the Harry Potter rides and shops with this tickets. ya compre mis boletos para disney no sabiendo los beneficios de quedarse en un hotel disney como escoger fast pass 60 dias antes, si reservo ahorita en un hotel disney tengo el beneficio del fast pass de 60 dias antes o no? Sí, si te alojas en un hotel de Disney, puedes reservar tus FastPasses a 60 días fuera. If I purchase the tickets today but not going to Disney till July they wont expire by then? You are good to go. They will not expire! You can get Park Hoppers and visit both the parks, or all four parks, in one day. The parking fee is $17 per day. If you visit another park that same day, just show your receipt and you won't need to pay twice. My family will be visiting Orlando from April 25 to May 2 and spending 2 days at Universal and 1 day at Seaworld. Will we need to purchase the Express Pass to best experience the parks during this time of the year? Also, not sure if you can answer this question ,but my husband is a larger individual 6'5", 300 lbs., and I'm concerned the Express Pass may be a waste of money and he won't be able to get on many of the rides. Crowds are expected to be medium-sized during your visit. If you follow our touring advice by arriving ahead of opening and hitting most of the popular attractions first thing, you should be in good shape. But it's ultimately your call on whether you want to have to wait at all, and the passes definitely help with that. As far as your husband is concerned, Universal offers test seats outside of its attractions so he can see if he will fit comfortably. Because of different body shapes, it's hard to say with certainty what he would or would not be able to ride. We will arrive in Orlando in March, 15 . It would be possible to send tickets to Brazil ? We do not ship to Brazil directly, but you can purchase from us and pick up your tickets in Orlando. Please let us know if you have more questions! You don't mention when you will be visiting, but I would suggest two day park hoppers for Disney World and 2 day park-to-park tickets for Universal, so you make the most of your days in the park. My wife and I are planning to spend 2 days on Universal parks. The dates we set aside for this visit are March 19-20. I check the crowd calendar and it looks like it will be quite busy. Would you recommend booking an on-site hotel in order to avoid the crowds? Yes, I would suggest staying on site so that you get the Express Unlimited benefit. All of Universal's hotels except Cabana Bay offer this benefit. I want to plan to go next year Nov.2015 for my niece birthday but I don't understand what is the 4 theme park for the park hopper tickets. One of the best values for a longer stay is the Orlando FlexTicket, which includes unlimited 14-day admission to Universal's Islands of Adventure, Universal Studios Florida, Wet 'n' Wild, SeaWorld Orlando and Aquatica. For just a little more, you could add Busch Gardens in there too with the Orlando FlexTicket Plus. You would still need to purchase separate tickets for Epcot at Disney World, but the other ticket covers the other major parks. The park hoppers allow you to more than one park per day, including if you wanted all four theme parks - Magic Kingdom, Animal Kingdom, Disney's Hollywood Studios and Epcot. Magic Your Way simply allows you to enter one park per day. If you have any more questions, please reach out to our customer service directly at 1-800-846-1302 or info@undercovertourist.com. Nosotros no ofrecemos la entrega a Argentina, pero usted puede recoger los billetes en Orlando. Mientras su tarjeta de débito tiene un símbolo Visa o Mastercard, podemos aceptarlo! Para más preguntas, por favor póngase en contacto con nuestro servicio al cliente directamente en info@undercovertourist.com. so we are going for xmas from the 23 to the 31st, it will be 4 adults and 2 kids. any recommendations on what tickets to get? if I get the tickets for 4 day hop pass do those days need to be together or can I go lets say Friday and go on sunday? or do I have to go Friday Saturday sunday Monday? Sorry for the delay, but I found your comments in our spam filter! Hopefully you are purchased your tickets now, but you have a 14-day period to use those tickets. More details here. Once I purchase tickets, will I immediately be able to link them to my WDW resort reservation and be able to set up fast pass or will I need to wait until my tickets arrive?? After your order has processed, our customer service folks can give you your tickets numbers, you will just need to call them at 1-800-846-1302.
do you have to buy your tickets first before you can do your fast past plus for the parks? Yes, you have to purchase your tickets first. There is more information here.